The rescue operation by the IAF followed a request by the East Siang district administration to evacuate the people stranded at Jampani under Sille-Oyan circle. The people -- cattle herders from Assam - were stranded in Arunachal Pradesh for the past 24 hours. 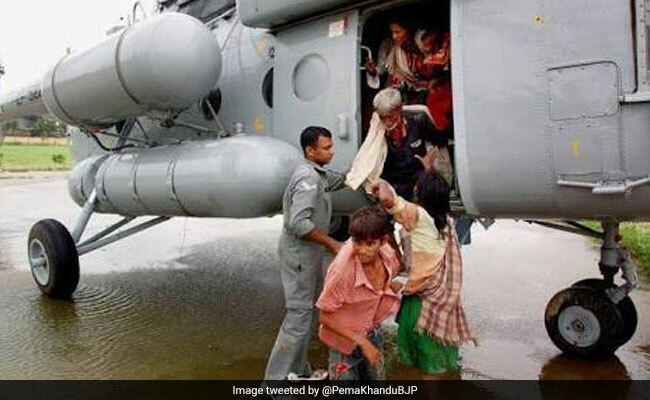 The Indian Air Force today rescued 19 people stranded in an island amid the swelling Siang River in East Siang district of partially flood-hit Arunachal Pradesh, an official said. The rescue operation by the IAF followed a request by the East Siang district administration to evacuate the people stranded at Jampani under Sille-Oyan circle of the district yesterday, East Siang District Commissioner Tamiyo Tatak said. The people -- cattle herders from Assam - were stranded for the past 24 hours after the water level of the Siang River rose making it impossible for boats to ferry them, he said. The district administration has already issued a red alert advising the people to refrain from venturing into the Siang river for fishing, bathing and other purposes, as the river is in spate with unusual high tides. Chief Minister Pema Khandu personally monitored the evacuation operation from Itanagar, the District Commissioner said, adding Lok Sabha MP Ninong Ering and Pasighat West MLA Tatung Jamoh along with police and locals were helping in rescuing the cattle. Though the water level of the river is rising with high current, but it is flowing below the danger mark, Tatak said. Many low-lying areas are facing the threat of flood and erosion especially in Mebo circle in the district. Over 1,000 families living along the Siang river have been affected by the rising river at Mebo, local legislator Lombo Tayeng said. The Siang river has always been flowing with plain water, but the present muddy water clearly indicated something wrong upstream, he said yesterday. Pointing out that 15 families of Seram-Ramku village have lost their homes as the flood water washed away their houses, he said most of the inhabitants on the left bank had been rescued to safe places. Tayeng gave an assurance that Rs one lakh each will be provided for their rehabilitation. 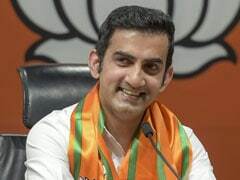 He has sent a report to Union Minister Kiren Rijiju for needful action besides requesting him to facilitate visit of an inter-ministerial central team to assess the situation. State Water Resources Department (WRD) chief engineer (West Zone) Likar Angu has directed officials, who have been monitoring the situation round-the-clock, to alert the inhabitants of low lying Jarku, Paglek, SS Mission, Jarkong, Banskota, Berung, Sigar, Borguli, Seram, Kongkul, Namsing and Mer.